The inHabit office welcomes staff and clients into sun-drenched interiors characterized by flexibility. 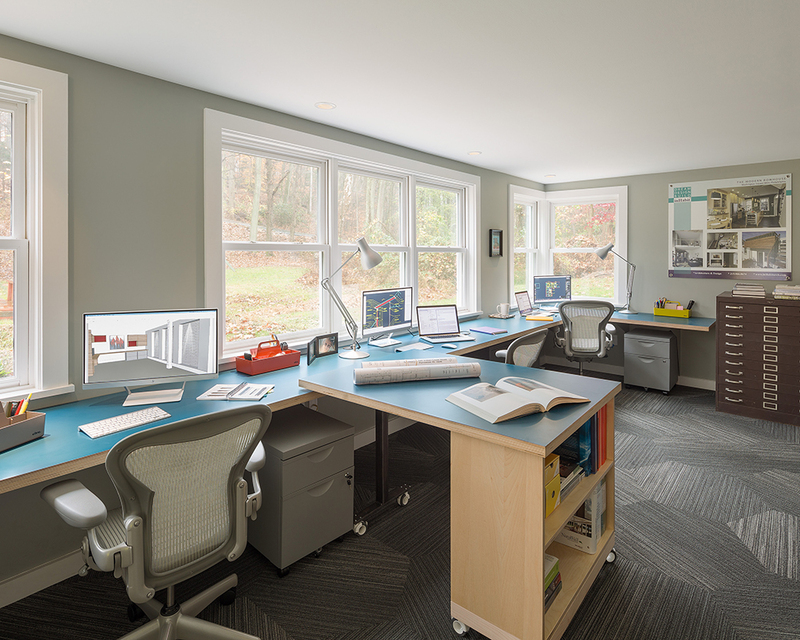 A wall of custom built-in work surface complements mobile pedestal files and a mobile peninsula desk with shelving. The flexible layout accommodates inHabit’s three full-time employees but can be reconfigured for one or two additional staff members in the future. The corner window detail provides views through the office space from interior or exterior, accentuating the relationship between indoors and the wooded outdoors. 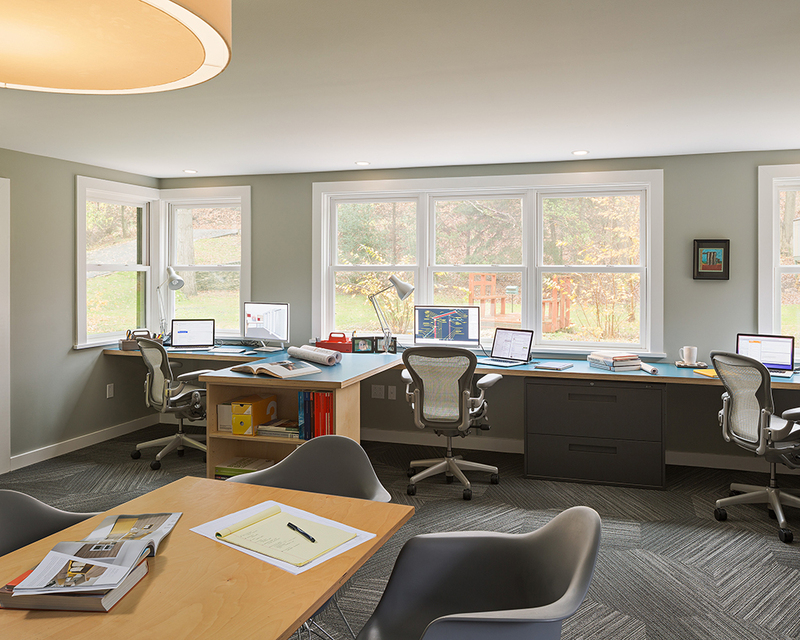 Recessed lights in the ceiling plus workspace task lamps provide adequate lighting, but the expansive windows mean inHabit maximizes daylight and minimizes its dependence on artificial lighting. Details capture the sense of whimsy that inHabit imbues into all of its designs. A gradated graphic hex pattern enlivens the gray carpet. A favorite midcentury detail of exposed plywood appears on the cabinetry edges. Aqua desks add a burst of color. Built-in speakers provide music through the workday.